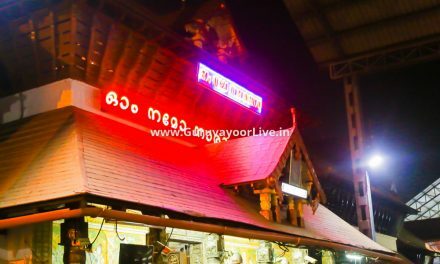 Guruvayoor Temple Today SpecialGuruvayur temple follows an elaborate system of rites, which according to tradition, is traced to Sri Adi Sankaracharya.The temple is open at 3 am and closes after the day’s poojas and rituals around 10 pm. Normally there are five poojas and three circumambulatory processions called Sreeveli, propitiating the celestial deities and carrying the Lord’s Thidambu on elephant’s back. 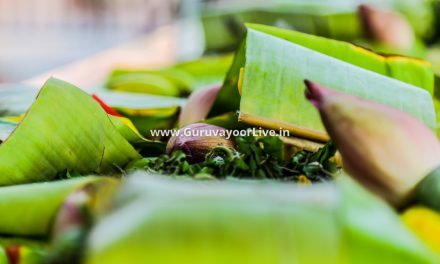 During the days of Udayasthamana Poojas there will be a total of twenty one poojas.THE TEMPLE OPENS AT 3.00 AM 3.00am to 3.30am Nirmalyam 3.20am to 3.30am Oilabhishekam, Vakacharthu, Sankhabhishekam3.30am to 4.15am Malar Nivedyam, Alankaram 4.15am to 4.30am Usha Nivedyam 4.30am to 6.15am Ethirettu pooja followed by Usha pooja 7.15am to 9.00am Seeveli,Palabhishekam,Navakabhishekam, Pantheeradi Nivedyam, and Pooja 11.30am to 12.30pm Ucha pooja (the noon pooja).TEMPLE WILL BE CLOSED BETWEEN 1.30PM AND 4.30PM AND REOPENS AT 4.30 PM 4.30pm to 5.00pm Seeveli 6.00pm to 6.45pm Deeparadhana 7.30pm to 7.45pm Athazha pooja Nivedyam 7.45pm to 8.15pm Athazha pooja 8.45pm to 9.00pm Athazha seeveli 9.00pm to 9.15pm Thrippuka, Olavayana 9.15pm The Sreekovil will be closed. 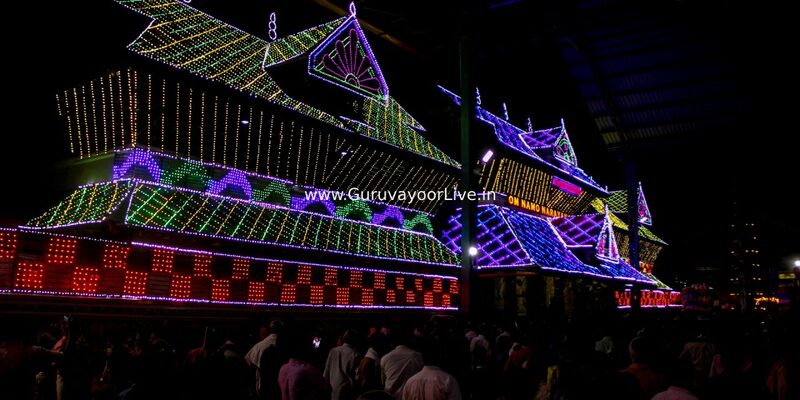 On the day of Special Illuminations called “Vilakku” the Thripuka is performed after that. 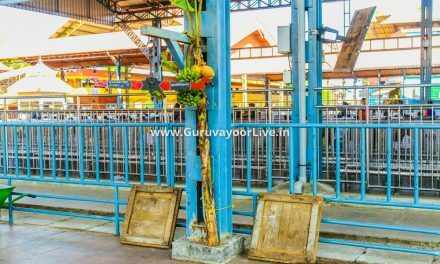 The Sreekovil will be closed after Thripuka. Then the Krishnanattam, a colourful traditional dance-drama on Lord Krishna’s life is enacted inside the Temple on specified days. *The timings given are approximate. It may vary if there is Udayasthamana pooja or on certain special occasions.